U.S. Army veteran, Kellen Adams is on the run but the problem is that she doesn't know entirely from what...or from whom...she's running. She has a scar on her forehead that's almost certainly from a bullet but has no memory of being shot. In fact, she doesn't remember anything from an entire year in her past. As the newly hired assistant manager of the Yearning Sands Resort on the Pacific coast of Washington State, Kellen is looking forward to a quiet off-season while she gets comfortable in her new position and hoping this will be a place she can stay. But then the owners go on vacation, leaving her in charge, the mutilated body of the former assistant manager is discovered, along with evidence of smuggling on the resort property, and that's just the beginning. Who can she trust? Who should she not? And, as if the resort crimes aren't enough, is her past also coming back to haunt her or are someone's intentions much more deadly? I should know better by now than to start reading a Christina Dodd book late in the day. I was once again fully immersed from the first page to the last...which I read at about 3:00 in the morning. This story simply refused to let me go. Kellen is a relatable character whose situation is believable and heart-rending. I understood the terror that influenced her past decisions and applauded her tenacity and bravery in the way she moved forward to claim a new life in the midst of heartache. I was in her corner the entire way. The mystery is well-paced, intricately woven, and, once again, Dodd kept me guessing the entire way. Just when I was sure I had figured everything out, there she went again, off in a different direction. She's become increasingly proficient at that with each new book she's written since moving to suspense thrillers. There's a rather large cast of secondary characters (as is the case in the first book of many new series) but I never felt confused or overwhelmed by them. Many of them are quite intriguing and I hope we'll be seeing more of them. If you enjoy suspense thrillers with intriguing characters, plenty of atmosphere, twists and turns that keep you guessing, and a surprise twist at the end that I did not see coming (I love when authors do that! 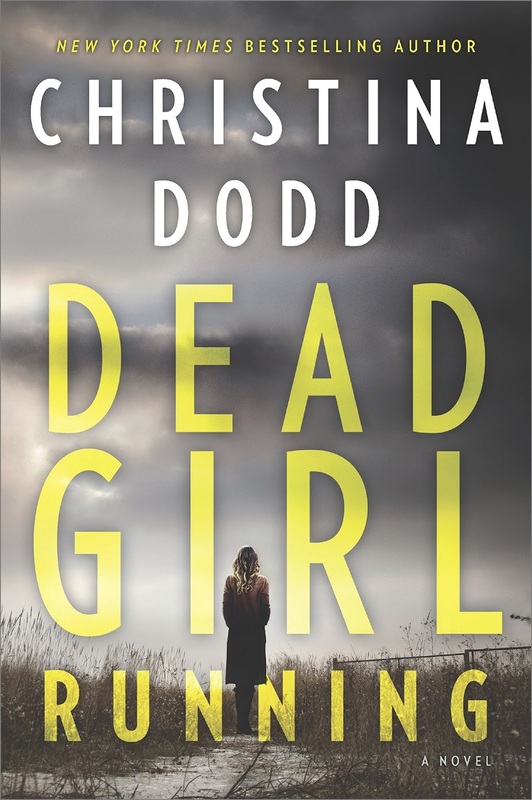 ), then Dead Girl Running should be on your must-read list. Though there is a romantic thread, this book is a suspense thriller, not romantic suspense. Be prepared for a lot of mystery and action but know that your heart will be touched as well and while there is not a happily ever after the book will leave you with the possibility of one. Given how the book ends, I'm hopeful that Kellen and her relationships will continue to evolve throughout the series. Also, though this book launches a new series, there are loose connections to two previous series by Dodd. 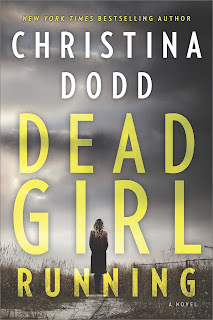 While fans of those series (like me) will no doubt appreciate the connections, first-time readers should be able to enjoy Dead Girl Running without having read the earlier books. This book sounds fabulous and is on my wish list. I look forward to reading it. Thanks for sharing your review, PJ. I like variety and this sounds like a nice change of pace! I love reading her books. Just got this for my birthday today. I can't wait to start reading it. Sounds fascinating. I will be adding it to my tbr list. Glad to see a new book by her. I started with her historical, have read her paranormals, and enjoy her suspense books. Like you, I definitely try not to start one of her books unless I have lost of time to finish it. Then there will be the second read. With a good book I read through it as fast as I can to find out what happened. On the second read, I pick up all those details and subtleties I missed the first time . Thanks for the review. I have this one from hoopla as an audio book. Can't wait to get to it.